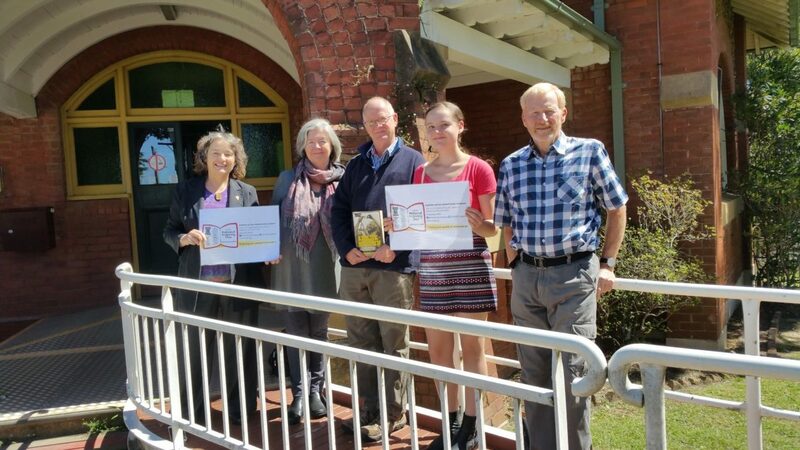 NSW Indexers promoting ANZSI National Indexing Day – 29 March 2018 – in front of the historic Lawson Library in the Blue Mountains. Left to right – Glenda Browne, Denise Holden, Jon Jermey, Jenny Browne, Michael Wyatt. The Lawson Library building played an important role in the late nineteenth and early to mid twentieth centuries as the Blue Mountains Shire’s first Council Chambers. Built in 1915, its distinctive federation freestyle building is listed on the state heritage register.